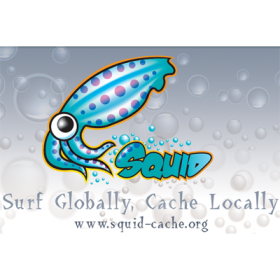 Squid is a caching UNIX based proxy server that caches internet content closer to a requestor than its original point of origin. This open source proxy server supports caching of many different kinds of web objects, including those accessed through HTTP and FTP. Squid proxy server was originally designed to run on UNIX-like systems and was written in C/C++. It is generally installed on a separate server than the Web server with the original files. Squid works by tracking object use over the network. Squid will initially act as an intermediary, simply passing the client's request on to the server and saving a copy of the requested object. If the same client or multiple clients request the same object before it expires from Squid's cache, Squid can then immediately serve it, accelerating the download and saving bandwidth.